Cheryl Lanham Arguile writes as her maiden name, Cheryl Lanham, and under the pseudonyms of Sarah Temple and Emily Brightwell. Cheryl Lanham was born on 11 October 1948 in the Appalachian mountains of West Virginia, USA. Her family moved to Southern California in 1959 and she grew up in Pasadena. After graduating from California State University, she decided to work her way around the world and took off for England. She didn’t get much further because she met Richard James Arguile, the Englishman who became her husband, got married on May 1976, and had two children, Matthew and Amanda. While working in international shipping, she decided to pursue her dream and become a writer – which, of course, is the best job ever. 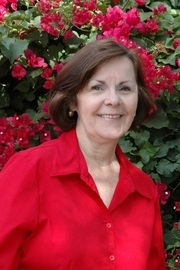 She has written romance novels as Sarah Temple, and Young Adult novels as Cheryl Lanham. As Emily Brightwell, she is the author of the “Mrs. Jeffries” mysteries. Cheryl Lanham Arguile returned to California, where she lives with her husband and a cranky old cat named Kiwi. Emily Brightwell is currently considered a "single author." If one or more works are by a distinct, homonymous authors, go ahead and split the author. Emily Brightwell is composed of 5 names. You can examine and separate out names.